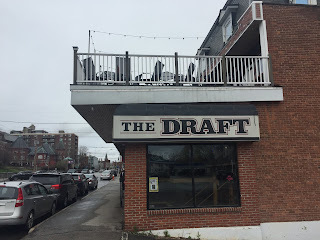 New Hampshire Restaurant Reviews : What Is Going On At Bradford Junction? What Is Going On At Bradford Junction? There has been a lot of talk about the status of Bradford Junction, the restaurant and bakery on State Route 114 in Bradford that closed earlier this year. So we took a ride out there to try and gain an understanding and share our findings. As you can see below, the sign out front indicates that they are not open but are renovating and will see their customers soon. We did see caution tape on the windows around the building suggesting that renovations are happening inside. There was also a rumor that they were shut down by the state. We found no truth to this, it is our understanding that they closed of their own accord. NH Reviews also checked in with the town of Bradford and there was no indication of anything happening at their location. We did visit Bradford Junction once a very long time ago. They had one of the lowest priced breakfasts we had ever seen. The total bill for 2 including tax came to less than 10 bucks. Their loyal customers are hopeful for a rebirth at some point in the future. We will all have to wait and see if this turns out to be true.